Specifications brands: canon, xerox, konika, ricoh and many more. condition: in good working conditions. contents : comes fully with all parts. year usage: 2 - 3 years. 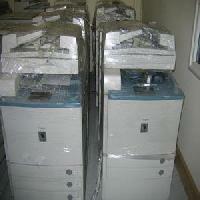 monthly capacity: 4, 000 machines origin: europe, united kingdom price: $100 - each. minimum order: 60 machines packing: average 88 machines in 40' hc containers.